The good people at Aero HQ set out a challenge to create some wacky and wonderful flavour pairings to celebrate the two-toned bubblicious makeover of Aero with it's delicious flavour combinations of orange or mint with bubbly milk chocolate. To help me with the challenge I was sent a box full of cooking equipment, a flavour thesaurus and some bubbly Aero chocolate to help inspire me! 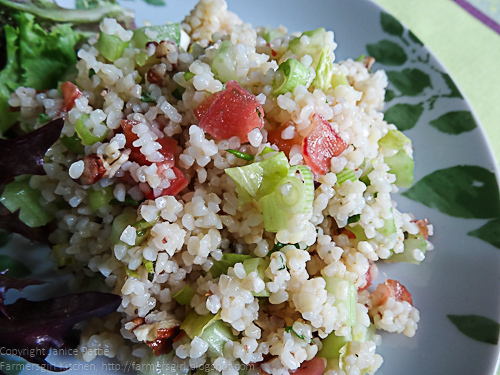 In fact, I found my inspiration in the Flavour Thesaurus where I spied an amazing combination of raw rhubarb and rosemary marinated in honey, I thought this would work well in a Tabbouleh providing the acidic element to a classic salad. 1. 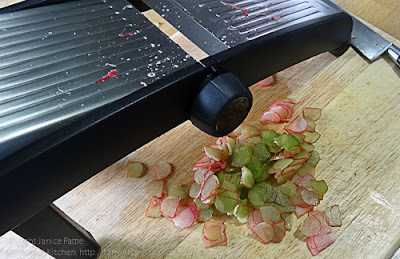 Finely slice the rhubarb, preferably on a mandoline using the finest setting. I used the OXO Good Grips Mandoline for this. 2. 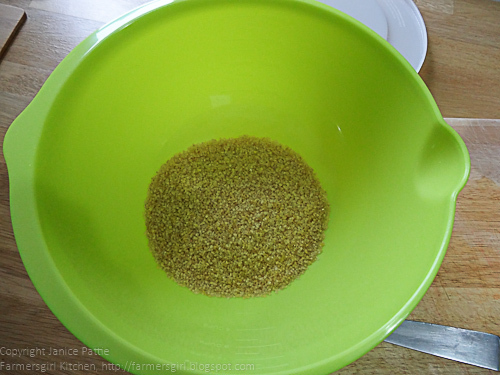 Place in a non metallic bowl and add the honey and rosemary, leave to marinate for several hours or preferably overnight. 3. 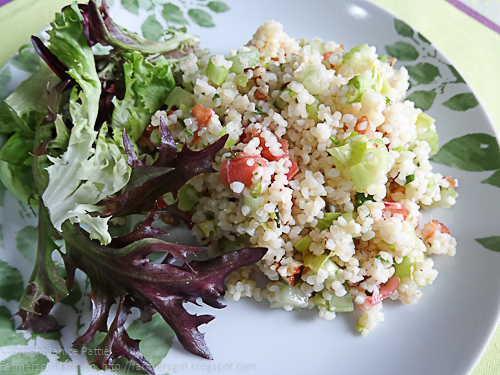 Place the bulgar wheat in a bowl and cover with boiling water. 4. When the wheat has swollen and absorbed all the water, add the rest of the ingredients and mix through. 5. Finally add the rhubarb and marinade, cover the bowl and leave to sit for at least an hour for the flavours to mingle, season to taste. You may wish to add a little more finely chopped rosemary if you would like a stronger rosemary taste. If you didn't know it was rhubarb, you would be hard pushed to recognise it, the honey has softened the sharpness to a pleasant bite and a subtle flavour of rosemary permeates the Tabbouleh. 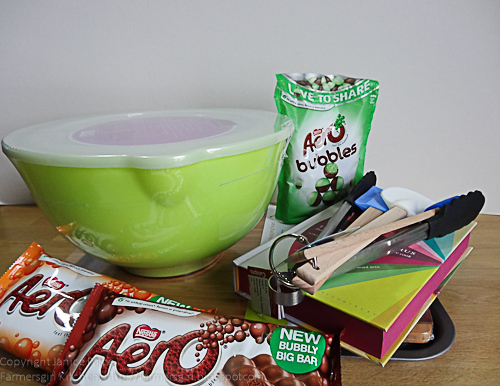 Many thanks to Sophie for the Perfect Pairing Aero Cookery Kit. A seriously good combo of flavours. I like it! 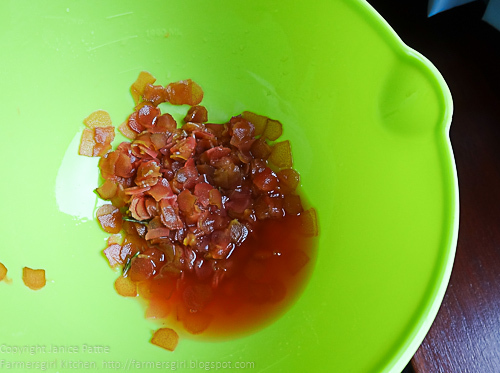 I love the idea of the pickled rhubarb Janice! 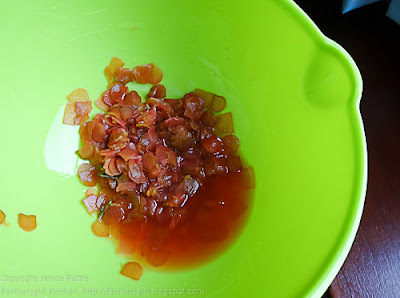 I've never tried soaking rhubarb... I imagine that the sweet but tangy flavour would be gorgeous in a salad. 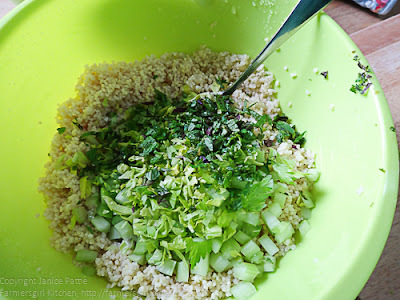 Definitely trying this salad. Gorgeous flavours... definitely a 'perfect pairing'! I'd never tried it before either, but it works really well. Oh wow what a combination!